Triathlon is a multi-discipline endurance sport consisting of a swim, a cycle and a run. Each athlete is timed from the second they enter the water to the second they cross the finish line. Included in this are two transition points where the athlete swaps the wetsuit for the bike and later, the bike for runners. Triathlon is open to people of all ages and abilities, with everyone competing across the same course at (roughly) the same time. It’s also possible to take part as a relay team where the segments are divided between two or three athletes. In addition to triathlons, other multi-discipline races include duathlons, aquathlons/aquathons. Note: ITU is the International Triathlon Union, the international governing body for the multi-sport disciplines of triathlon, duathlon, aquathlon etc. Aquathlon (also known as aquathon) is essentially a triathlon without the bike stage. So swim-bike-run becomes swim-run. Various distances exist, but most common would be the sprint distance (750m swim, followed by 5km run). The Club-run Two Provinces Aquathon takes place in June as part of the Midland Aquathon Series. Absolutely. If you are looking to improve your fitness and looking for a rewarding challenge, then you should certainly give Triathlon a go. Swim: swimming togs, goggles, hat, wetsuit (it is compulsory to wear a wetsuit in certain events, including open sea swims). Cycle: roadworthy bike – mountain, hybrid or racer. Helmet – you will not be allowed to race without one. Run: running shoes with good support. Other: Tri-suit (makes transitions from swim to bike easier and more comfortable to race in). But What If I can’t Swim? Get someone else to swim and take part as a relay team. You can find a friend who can swim and there are usually plenty of Club members willing to swim whilst you do the cycling and/or running. Try a duathlon. No swim… Duathlon’s are run-bike-run. Join our Club and learn to swim! In the first year of our zero2tri programme, one member went from being afraid of putting his head into water in January to taking part in a 3.9km charity swim in August! Lanesboro Triathlon Club is affiliated to Triathlon Ireland, the governing body for the sport across the island of Ireland. 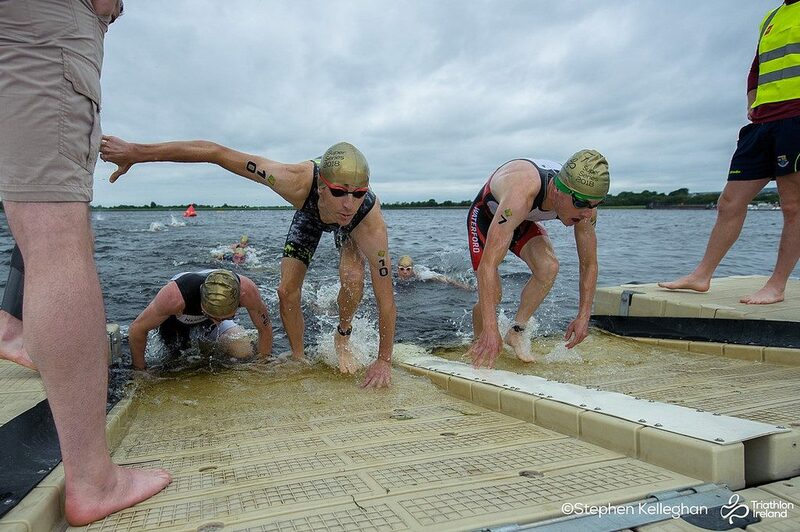 Anyone wishing to take part in triathlon in Ireland must be a member of Triathlon Ireland. Join our Club today and let us help you reach your goal.